in my 20 years working in the interior design industry, i've heard a lot of myths and misconceptions about working with an interior designer. i decided it was time to debunk some of the most common interior design myths! i love design reality tv shows and glossy shelter magazines as much as the next person (maybe more!). they highlight some swoonworthy interiors, but it got me thinking.... wouldn't it be interesting to know what really goes into making them? 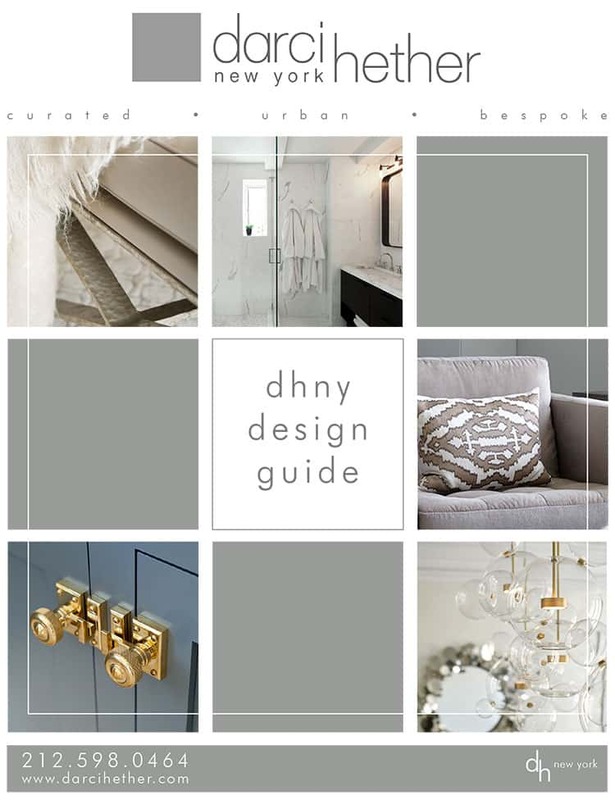 the real world of interior design is a complex business, complete with its own language and jargon, and all kinds of twists and turns you might not expect from those beautiful glossy magazine spreads. i talked about some of these myths last week on facebook live and i addressed several of the questions i get asked frequently. i think it's important to address some of the elephants in the room when it comes to hiring an interior designer. i'm so passionate about what i do and my industry and i want to share that passion with you! 1. interior design is "fun"
don't get me wrong—i love my job. but let me paint a picture for you: i'm at a dinner party and someone asks me what i do for a living. i tell them i'm an interior designer, and they respond "oh that must be so much fun!!" and it is, but there's a misconception that all we do all day is shop with our clients, pet fabrics, and look at pretty things, when that's such a small glimpse into what we do. in reality, that 'fun' part is only about 10% of the job. the other 90% is all business: managing projects, vendor and contractor communications, placing orders, filing paperwork, checking measurements, coordinating a team, tracking the process, and billing. that 90% is what makes the project actually a reality, but it's all behind the scenes. so yes, i love my job and i do think it's fun, but it's also a lot of hard work! whether or not i'm the right fit for your project, i want to make sure i'm leaving you with a lot of valuable, solid, concise information, so you can feel comfortable and confident moving forward in your design process. nope! as much as i wish every project finished as seamlessly as depicted in a one-hour episode... that just doesn't happen. as a potential client, if you were to call me today, during our discovery phone call, one of the first questions i'd ask you is "why now?" are you needing to get your home done by the holidays? are you planning to host a fourth of july party? do you want to show it off to family over thanksgiving? i want to have an honest and realistic conversation up front about your timeline. with that in mind, even the simplest of projects take time when everything goes smoothly. for instance, here in nyc, condo or co-op boards have an alteration agreement packet that has to be adhered to before any type of construction can even begin. for these types of renovation projects, drawings have to be done, a scope of work has to be written, and all of the contractor licenses and insurance have to be submitted.... and that's just to begin the approval process! and this process can take several weeks to several months!! even the most straightforward interior design project with no renovation can take time. custom furniture, especially upholstery, has a very long lead time. 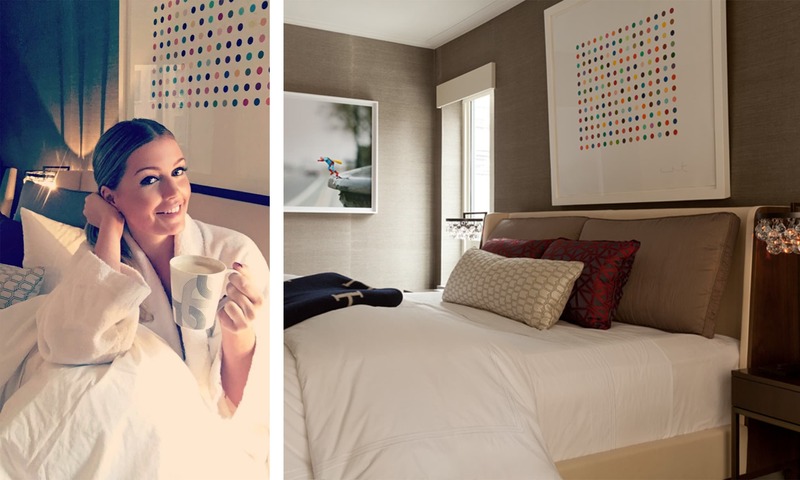 keeping things running smoothly is a big part of an interior designer's role. and when things go wrong, this is where an interior designer adds a lot of value. on a project a few years ago, we created drawings for a kitchen gut renovation based off of the building's official plans on file with the city — namely based on the location of the gas riser. can you guess where this story is going?? once demo began, it was quickly discovered that the gas riser was in fact 18" away from where it had been noted on the official building plans. all of a sudden we had to completely redesign the kitchen layout after the cabinetry order had already been placed and demolition had begun. it all came together beautifully in the end but it added about 4 weeks to the overall project! as a designer, when i'm working with a client i want your personality to shine through! when an initial call comes in, one of the things i ask a potential client is what they liked on my website that prompted them to call. maybe it's the clean lines of my park ave project, or the casual chic of my bridgehampton home. but if your aesthetic is more about heavy tassels and bold color palettes... chances are you wouldn't be calling me. one of the first things i do when i start a working with a new client is to ask tons of questions to get a feel for your way of life. we'll talk about your likes, dislikes, the feel you want to have. do you like to entertain formally? or are you more laid back? is it all about cocktail parties and hosting your business associates? or is your home all about relaxing and decompressing? ultimately, how do you wish to use your space and what mood or personality do you want to evoke? 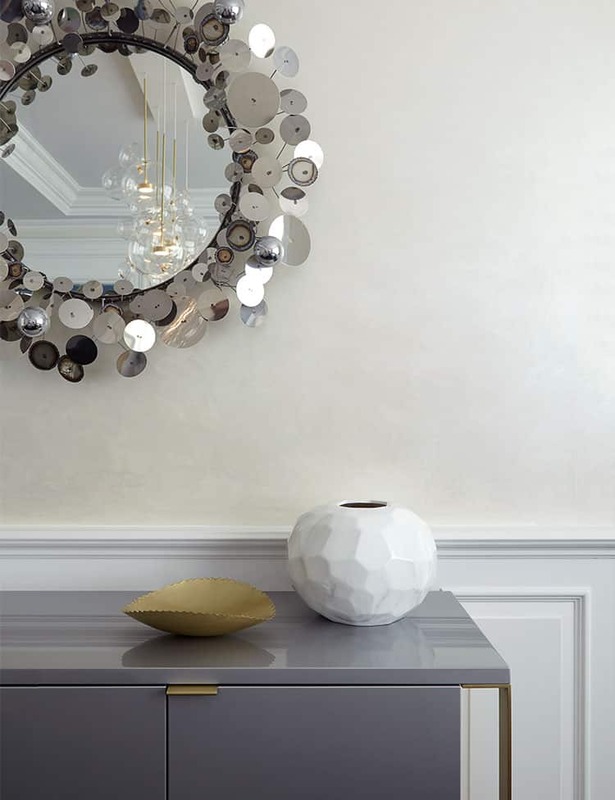 armed with this information my team and i set out to create the perfect oasis for you, reflecting who you are .....but i always like to throw in a little bit of a wild card: something surprising that goes a little bit beyond, but adds that extra je ne sais quoi to your home. but the place where a client's personality really shines is through the accessorizing. one of the first things we'll do at that stage is what i call 'shop from home,' where we'll discuss what meaningful or personal items you'd like showcased in your home. whether that's art, an antique toy collection, a sentimental vase, pillows, or photographs. i've often asked clients to send me a dropbox link to photographs they've wanted to display in their home but haven't yet, and we'll shop for frames for the prints. it's our priority to make the space about you, your family, and your needs! 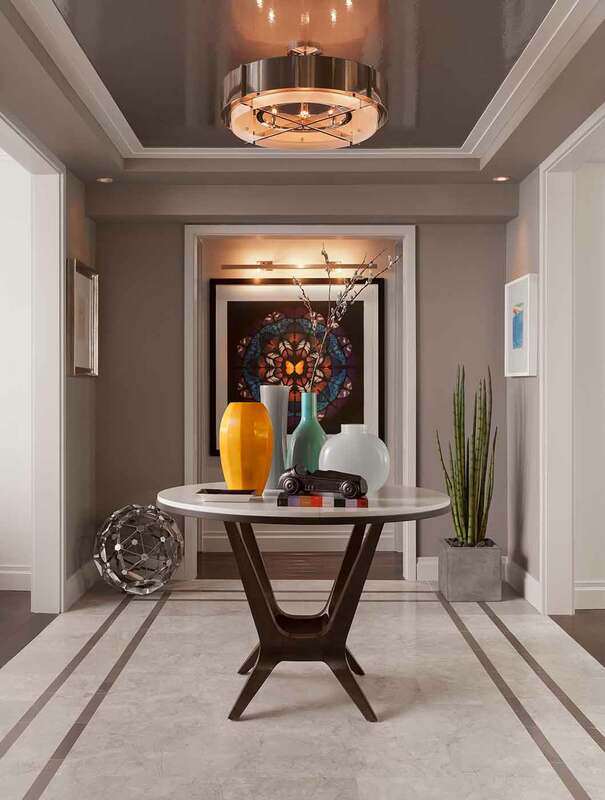 when you're hiring an interior designer, we're not just thinking about the interior dimensions of your home—we always measure the hallways, corners, freight elevators, door frames... because what good is a beautiful design if we can't physically get that stunning custom sofa or 6-burner wolf range into your space? here in new york city, that can be a big challenge. everyone remembers the scene in 'friends' with ross shouting "pivot" and the couch gets stuck in the stairwell! when you hire an interior designer, you get the peace of mind that those mistakes will be avoided and handled professionally so you don't have to suffer the consequences. that can be true when you're not in manhattan as well! on my bridgehampton project, for instance, there was a very large, round light fixture we were set to install in the master bedroom (photo above). it was about 32-36" in diameter, and we knew ahead of time that the only way to get it into the space was to hoist it over the balcony and through the sliding glass doors. it would not have fit through the hallway, and it would not have fit through any of the other bedrooms doorways. thanks to my team and extensive measurements and planning, we were able to avoid a sticky situation. well, that's up to you and your circumstances. 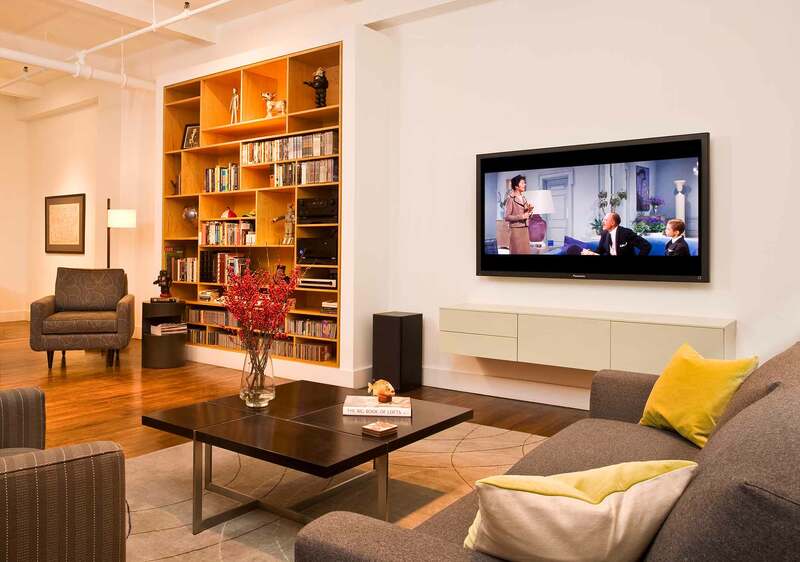 but if you're looking for a striking, well-designed home, an interior designer can be a valuable asset. you're not just hiring someone to "make pretty"—you're hiring a project manager with extensive expertise in the field, connections to stunning pieces and professionals, with a strong vision and the ability to create a space that is as surprising as it is beautiful. the kind of help a designer can provide is more varied than you might think! every designer works differently, and while our specialty is full-service design, that's not always the right option for every project. for those other projects, we offer a ladder of services with a lot of possibilities to suit your needs. full service - this is our specialty! i love providing that showstopping, turn-key moment. our full service design manages the project from top to bottom so you don't have to. we'll handle every twist and turn through the process, saving you time and money. i've talked about my full service projects on the blog before: if you want to learn more about what it's like to be a full service client, check out the behind-the-scenes on my recent florida project! designer-on-call - this is ideal if you feel confident managing the project, but want a professional consultant on hand. we'll be available to help prevent costly mistakes and guide you toward choices that will suit your space and your lifestyle. you're in control, but we're here to help. this could be as small as a one-off consultation to get you started, or it could be a full scale design with you in charge of placing the orders and implementing the installations. finishing touches - your home is almost done but just needs that extra little push with decor, accessories, lamps, and more to take it to the next level. 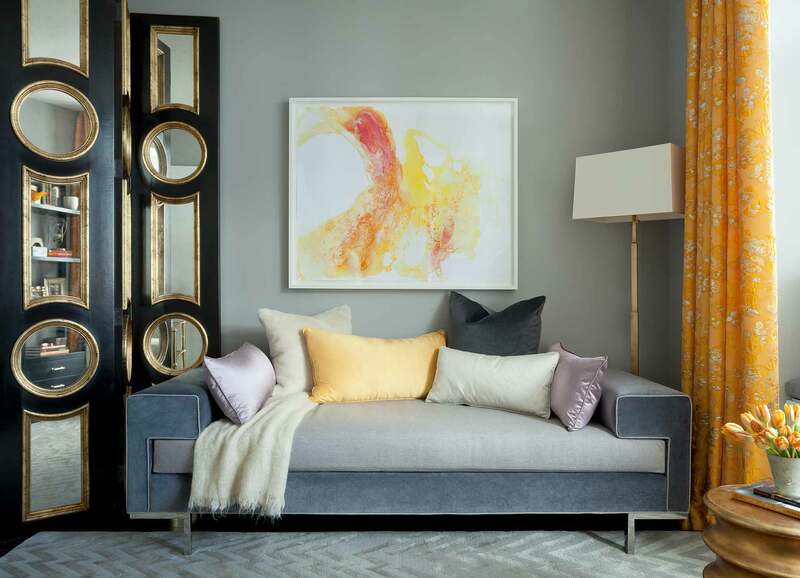 we help you select artwork and shop for your finishing touches that will style your home to impress. once again it is snowing outside - it is predicted we will get 12"-18"(!!!) - and it feels like winter is never going to end. 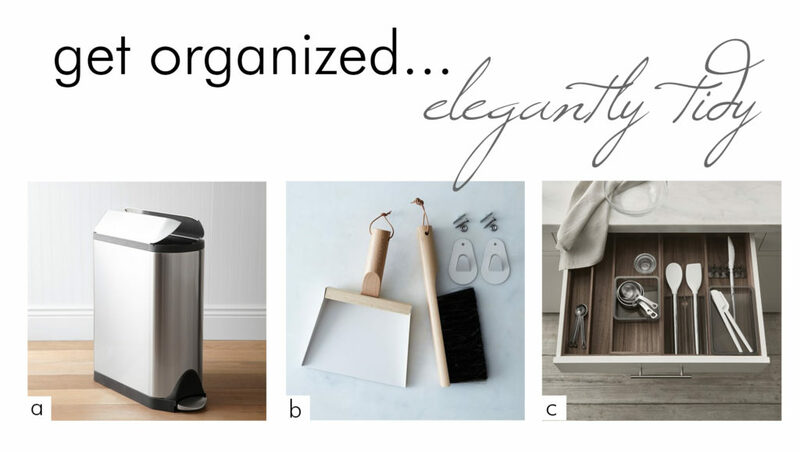 but in trying to ignore our current outside weather, i'm getting ready for warmer springtime weather and that feeling of refresh and new beginnings by starting my spring cleaning. nothing beats that feeling of standing back and admiring a well organized, sparkling clean kitchen!! 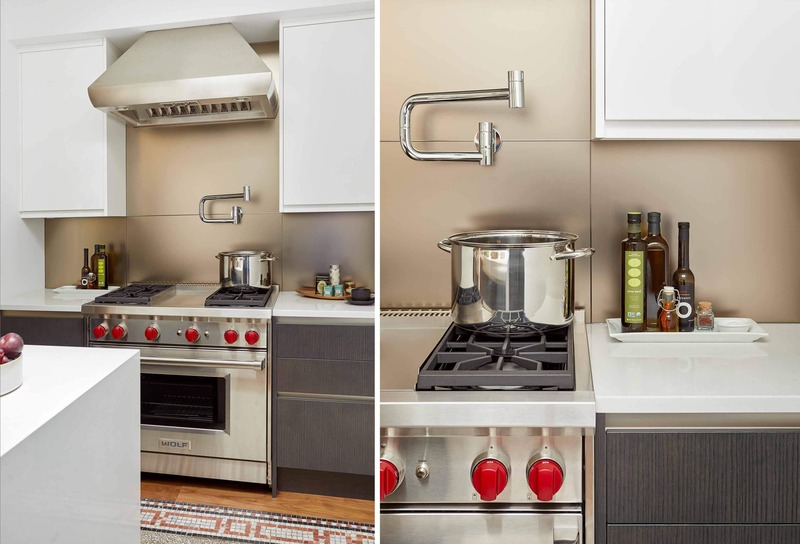 i like to design kitchens that are light, bright, full of simplistic details and seamlessly uncluttered......like in this upper west side kitchen renovation, it's all about chic, bespoke simplicity. 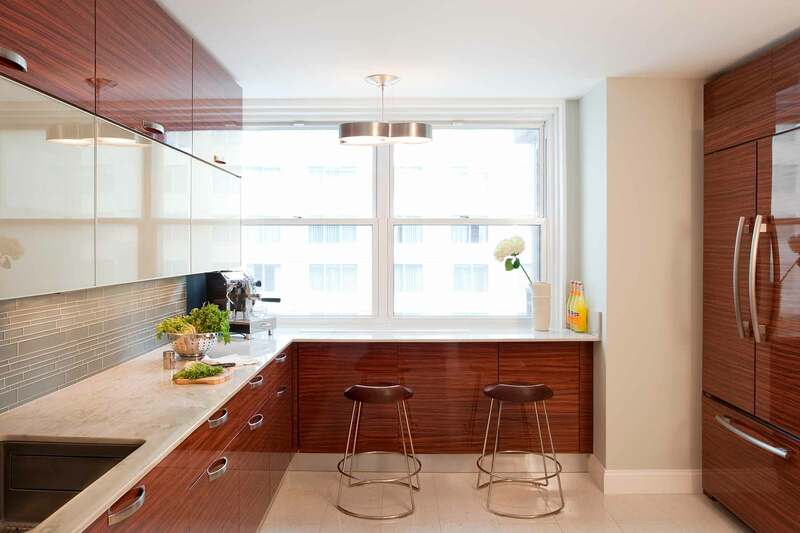 the sleek cabinetry, the clean counters, the sparing accessories... everything there is discretely hidden away, showcasing the beautiful contrasting materials we selected for the space. the blue-green glass tile, high gloss wood cabinetry, and polished marble countertops reflect the light from the windows and create a feeling that is at once soothing and warm. freshening up your kitchen doesn't take much! here are a few of my recommendations to get you started. 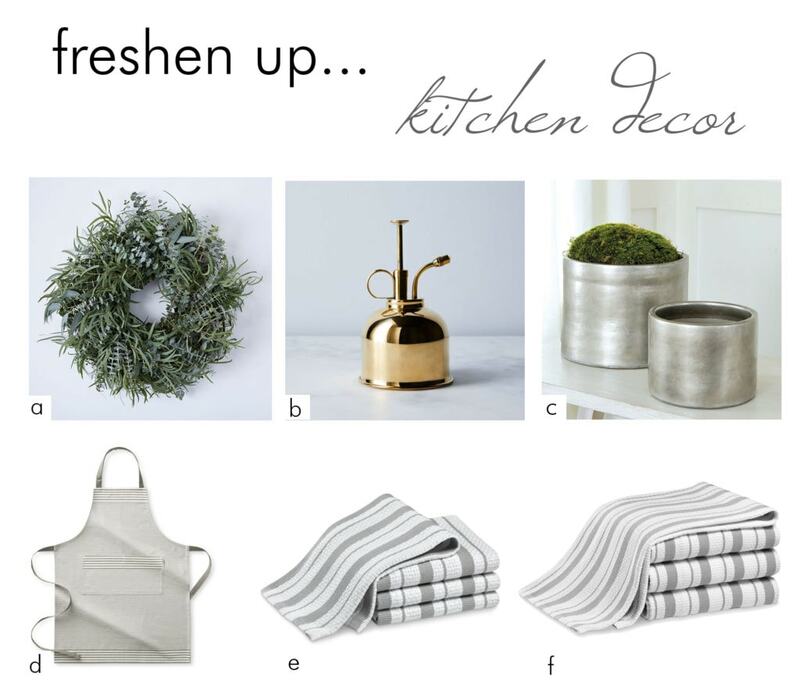 in addition to your basic seasonal tidying up, a spring refresh should focus on switching out seasonal decor, replacing heavily used items like linens, and welcoming spring with fresh and clean aromas! when we think about spring cleaning, it's easy to forget that the tools you use can be beautiful too! here are some of my favorite products to get you started. 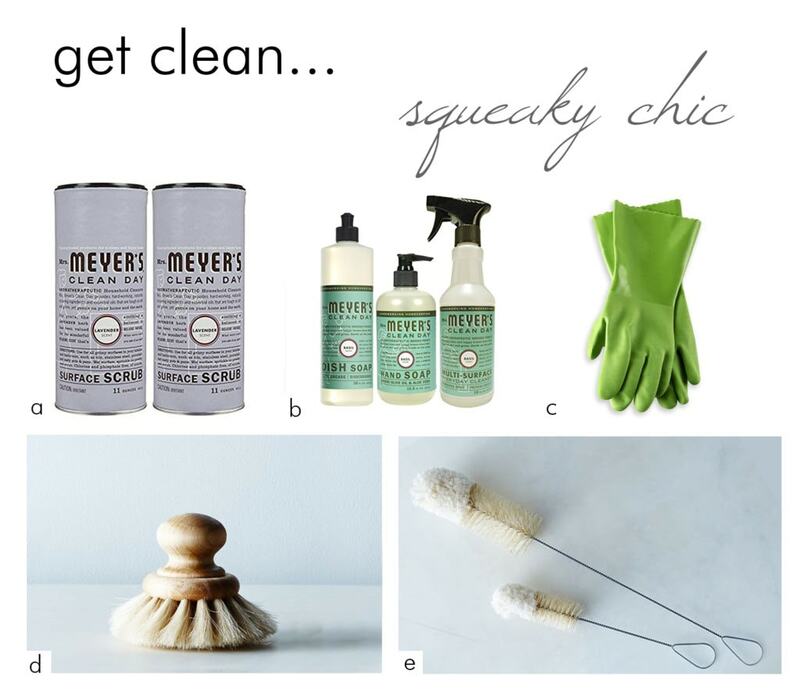 a & b. meyer's soaps // these products are eco-friendly, elegant, smell beautiful, and work even better. i absolutely adore the lavender surface scrub (a), and this set of basil soaps (b). while i always try to create a space that is as functional as it is beautiful, as it becomes more 'lived-in' you start to realize what you need in order to keep it organized. these pieces are a great way to help define your kitchen's storage and get ready for spring. b. dustpan set // this vintage-inspired french hanging dustpan & brush set is the perfect example of the marriage of form and function. it's elegant, clean, and simple. c. drawer insert // these tool alignment inserts from williams-sonoma are a great way to keep your drawer organizers even more organized—everything has its place and it won't shift around. imagine my surprise when i saw that lady kitty spencer—princess diana's beautiful niece—was recently featured in instyle in the foyer of my park ave project! apparently, the british royal was in town for new york fashion week and took instyle behind the scenes at the ralph lauren show. ... and snuggling up with a mug of tea in the bedroom. but seeing her in the apartment's gallery/foyer space got me thinking. i've blogged about the bedroom & bathrooms before, but the stately foyer is one of my favorite parts of this chic park ave apartment, so i thought i'd do a little behind-the-scenes of my own! after all of the tile was installed and grouted, we took it one step further by having it diamond polished, providing an extremely smooth, seamless finish that just glowed. 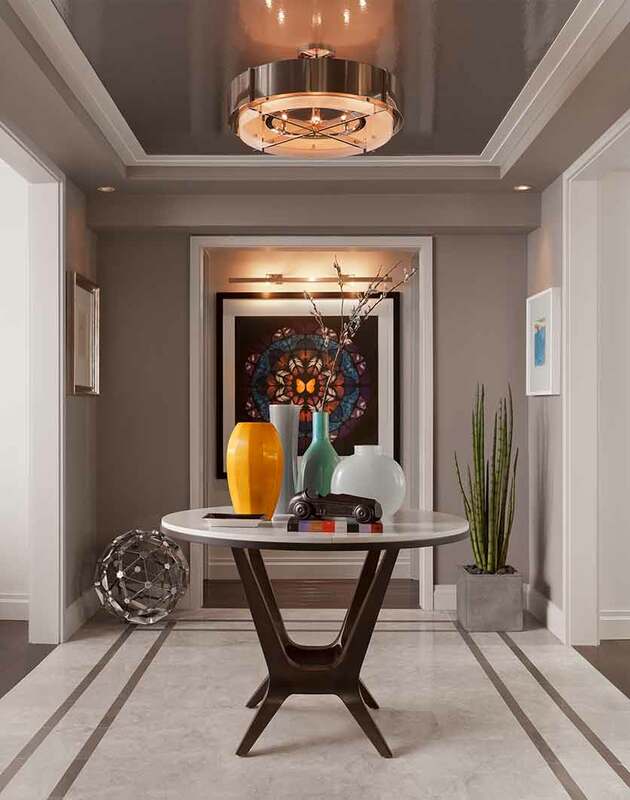 with the floors completed, i finished this space off with some bright accessories that pulled pops of color from our client's fantastic art collection. 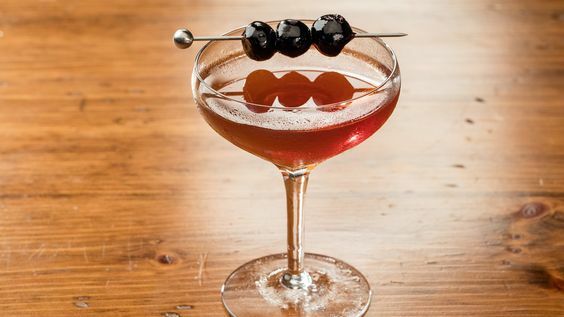 to me, there are few things more impressive than mixing your guests the perfect drink. i've featured this upper west side pied-à-terre bar before (check out the renovation recap), and whenever i look at this image it reminds me how frantic it is to have a glamorous, stylish place to mix ones favorite concoction! last week, i blogged about using restaurant design as inspiration for your dining room. this week i'm all about the bars! i love finding my inspiration from visiting gorgeous, swoon-worthy commercial interiors. 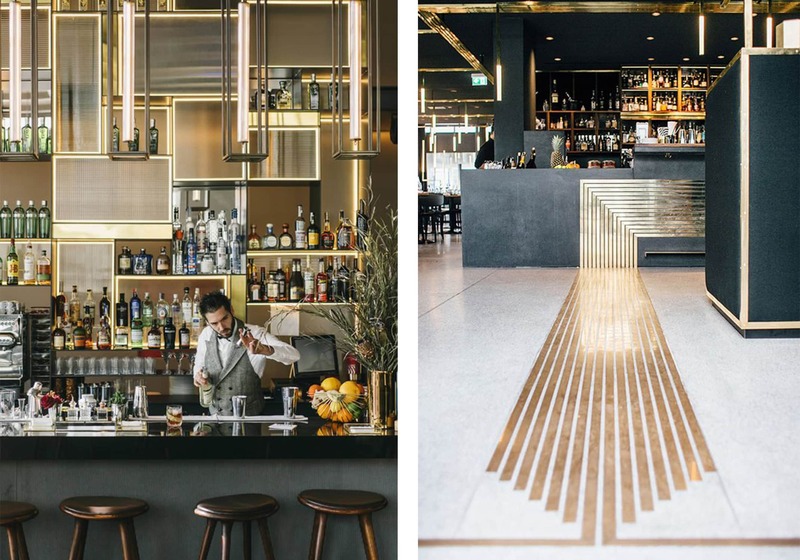 these bars epitomize bold elegance with the dark greys, brass, and high drama. they're not home bars—nor should they be—but that doesn't mean your home bar can't make the same kind of statement. 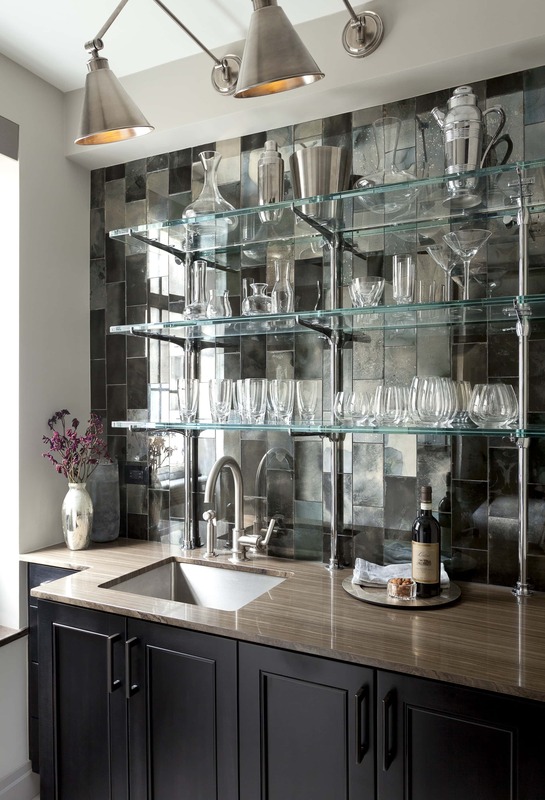 a classic wet bar is truly a wonderful thing. 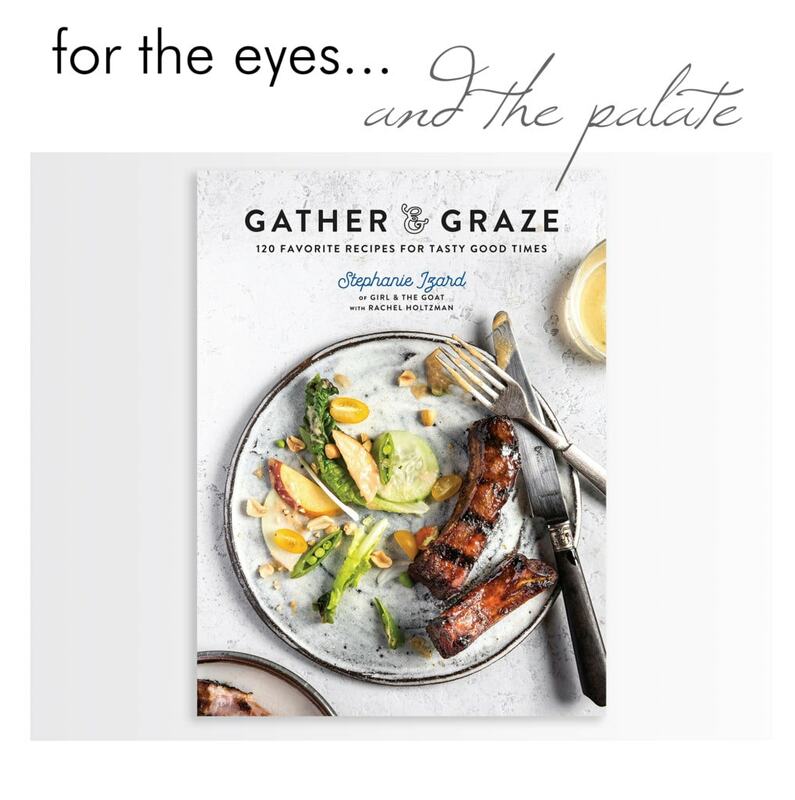 it's versatile, elegant, and fantastic for entertaining. 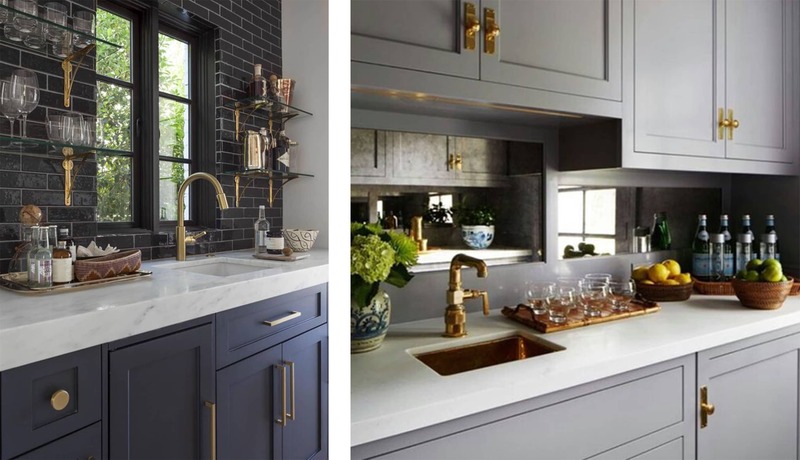 i love the grey cabinets and brass hardware in both of these home wet bars. the contrast amps up the drama... and oh how i love some visual drama! 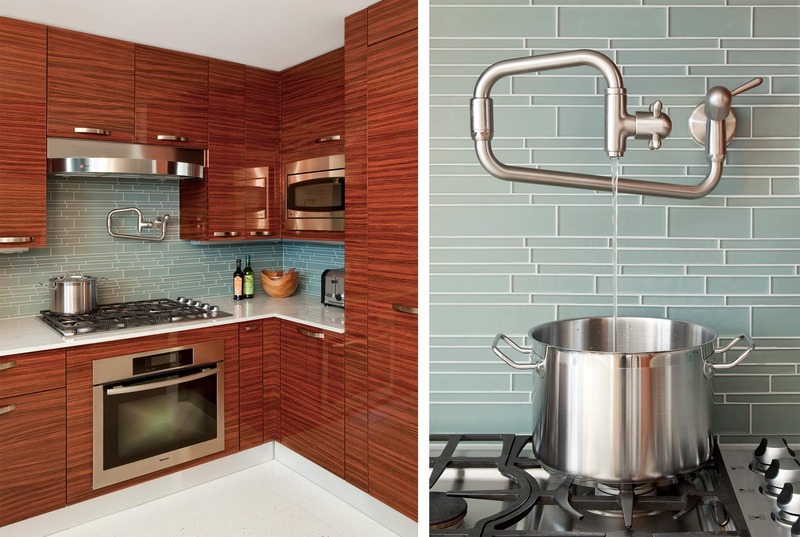 i love using stunning statement tiles, and these tiled backsplashes certainly don't disappoint! if you want your bar to really pop, a bold tile backsplash can make a really big statement. depending on the tile you use, it makes an entirely different statement. the black tile against the brass shelves would be a perfect look to complete a masculine bar for a refined bachelor. and the bar on the right is ideal for the hamptons! if your space doesn't allow for a wet bar or an elegant built-in, that doesn't mean you can't have something beautiful for your entertaining pleasure. a curated, stylized, classic bar cart is sure to impress! 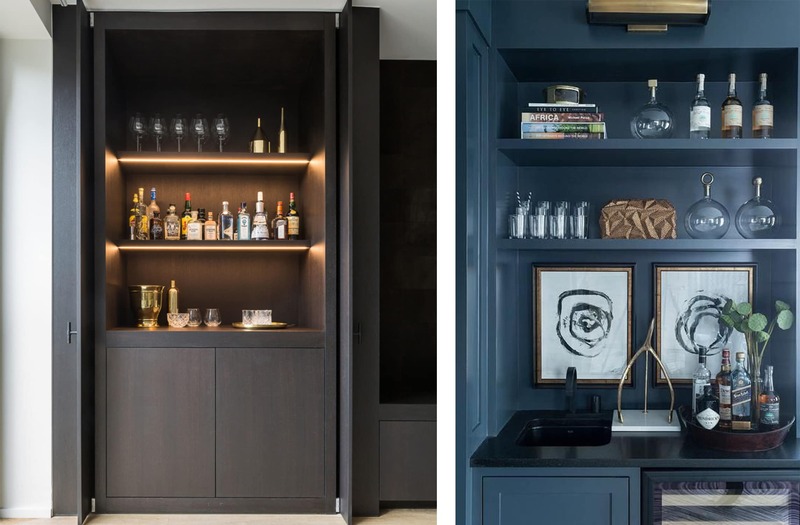 bar carts can be a great way to give the feel of a bespoke bar, but they have a small footprint ideal for new york city apartments and they can roll away. they can still make a beautiful statement depending on how they're styled! pay attention to the bottles and bar accessories you choose to display, since they will be very visible. stocking a home bar doesn't have to be tricky. i like to keep it simple. while it's nice to have most of the basics, you can still keep it minimal. i like to be able to whip up a "house specialty" cocktail or two at a moments notice. 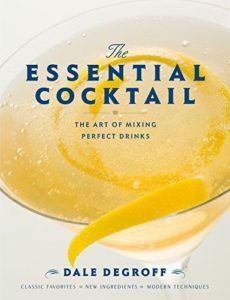 if you have the ingredients on hand for a select number of delicious cocktails, you don't have to have a "fully stocked" bar. 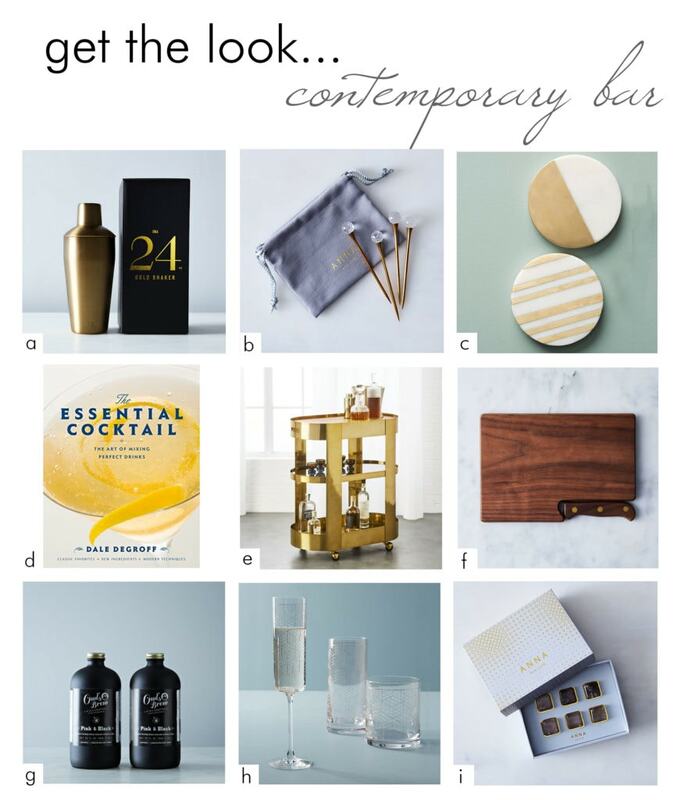 if you're ready to let your home bar make a statement, here are my recommendations!